One of the great things was the Joiners got tickets to their company box so the girls had a chance to crawl around and play during intermission. 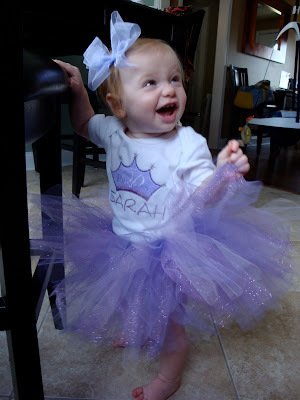 I think that helped break up the show for them and made Sarah less cranky then she might have been. Here are the girls sitting in the comfy club chair giving each other a hug. 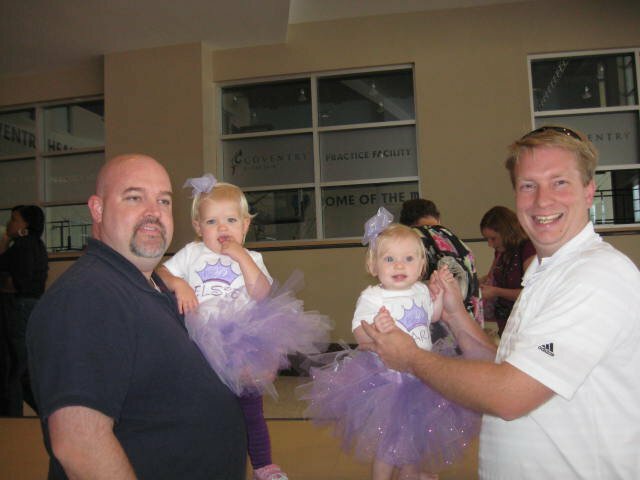 For the record and posterity: I just want it to go down in the history books that I, uncrafty Natalie, made the matching tutus for the girls. I am SO proud of myself. They turned out GREAT! I even called mom and dad before I tried it on Sarah for the first time and made them get on video chat so they could see her in it. 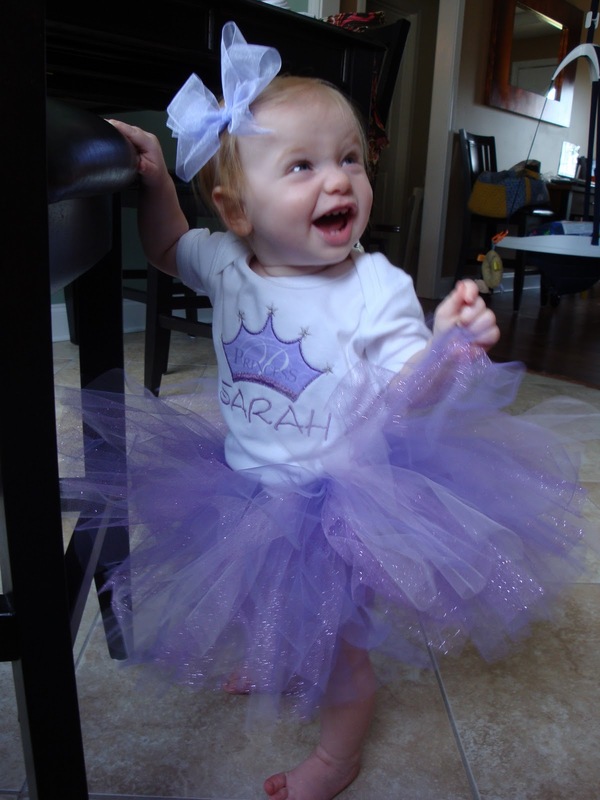 I then proceeded to go to Auntie Cami's after the show so she could see Sarah in her adorable purple tutu. And when we got to the baseball field to go visit with Tomi I pulled the tutu out to put on her again and Chris said "really, that again". Yes that again! It's so stinkin' cute, Tomi had to see her in it. It was definitely worth staying up late to make for the girls. There were many on lookers who pointed and ET and Sarah and said how cute they looked. you said it! amazingly adorable!